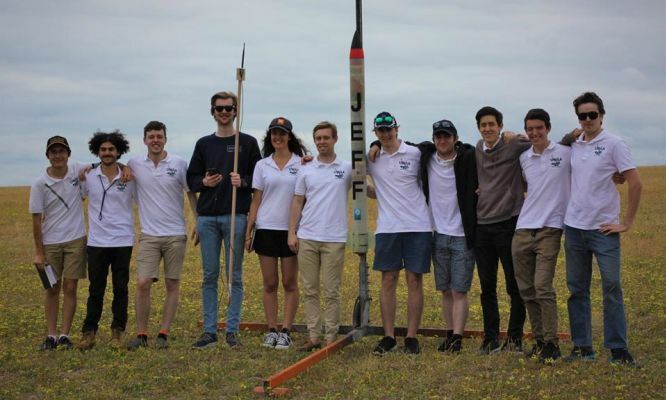 With the first ever Australian Universities Rocket Competition being held on April 17th, University students from around the country are taking their amateur rockets to Queensland to see who can fly highest, fastest and not blow up on the launch pad. The UWA Aerospace Club was only created in April last year but the team has already made it into the competitions Top 5 list based on the initial round of judging. Even though there is no Aerospace Engineering course at UWA, the team are proving just how far WA ingenuity can push the envelope, and Project Manager Anthony Poletto says the team can’t wait to show off what they’ve accomplished.